Kyra Sedgwick, J.K. Simmons. Good. 2010 * Buy with confidence-Satisfaction Guaranteed! Satisfaction 100% guaranteed. 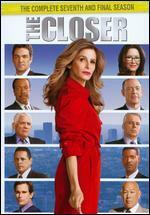 Kyra Sedgwick, J.K. Simmons, Jon Tenney, Corey Reynolds, Robert Gossett. Good in good packaging. 3 discs. Language: English. Run time: 60 mins. Originally released: 2010. Ex) Library Copy. (WB) Moderate wear. Typical library stampings, stickers and markings. Very Good. 3 DVDs in a plastic case in a slipcase. Discs appear clean and unmarked. J.K. Simmons, Kyra Sedgwick. Good. 2010 Customer service is our top priority! The item or packaging may have identifying markings from its owner or show limited signs of wear. Digital copies may or may not be present. J.K. Simmons, Kyra Sedgwick. Good. 2010 Run time: 639. Connecting viewers with great movies since 1972. All used discs are inspected and guaranteed. Used discs may not include digital copies. Customer service is our top priority!